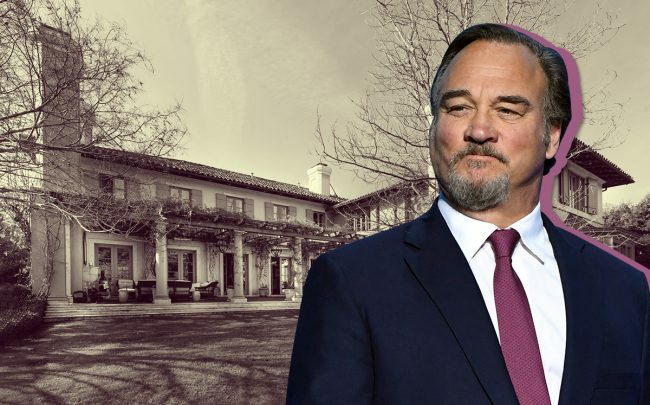 When Jim Belushi listed his Brentwood Italianate-style villa in 2017, it came with an adjoining half-acre lot. The total price for the mansion and the land: $38.5 million. There were no takers. Now, the actor and comedian is relisting the home — lot not included — for $28 million, according to the Los Angeles Times. The gated estate was built in 2010 and designed by Oscar Shamamian. It includes six bedrooms, 11 bathrooms, and a screening room. The .85-acre property also features a guesthouse, swimming pool and pool house, according to the report. The listing agent is Elisabeth Halsted with Berkshire Hathaway HomeServices California Properties.